Posts about analytics on the web. The evening started with a report on the hackathon we organised together with Social Point back in November last year. The goal of the hackathon was to build a churn predictor, predicting which users will stop playing one of the games from Social Point. The hackathon was a great success and we hope to do another one this year. So far no date has been decided. 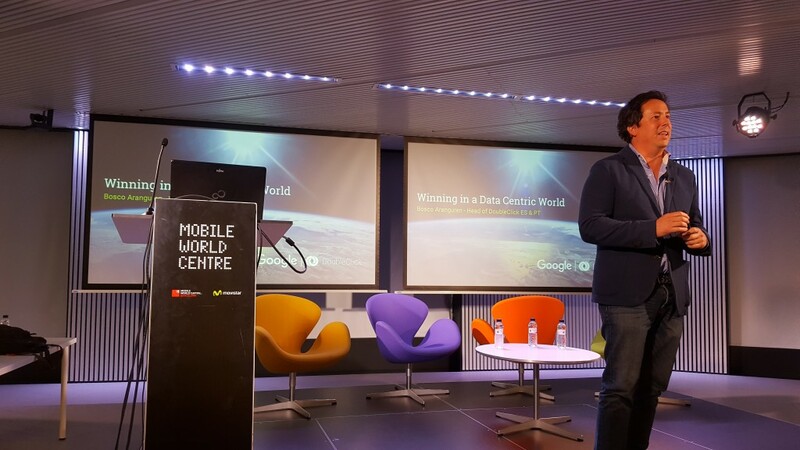 Our first speaker of the evening was Bosco Aranguren, Head of Media Buying Solutions at Google Spain & Portugal. He explained us that one of the classic wisdom in getting a competitive advantage still holds. The ability to learn more about your customer faster than your competition and the ability to turn that learning into action. Only now we have more data to learn from. He took us through four challenges in creating a data driven customer centric organization: Technical Infrastructure, Right Skillset and Organizational Structure, Creating Customer centric insights and Data Activation. For example, in terms of technical infrastructure it is important to avoid data silos and to allow a holistic view of your campaigns and customer data. 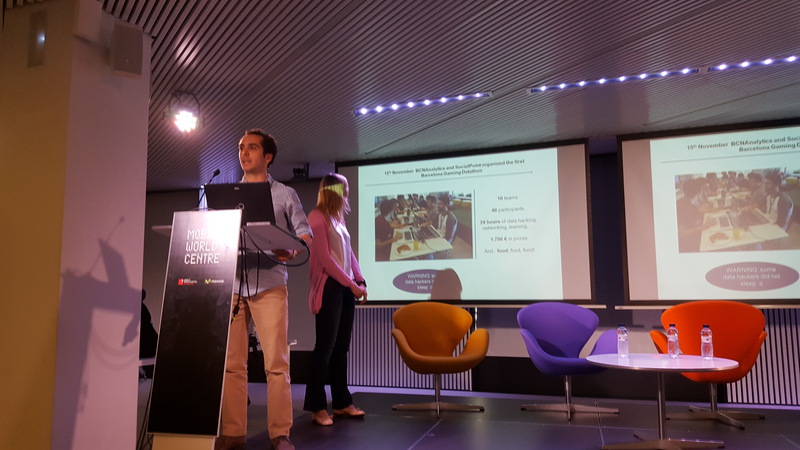 Finally, he presented four use cases in which Google worked together with the Boston Consulting Group, TalkTalk, L’Oreal and Peugeot and used different technologies to improve the impact of marketing campaigns. 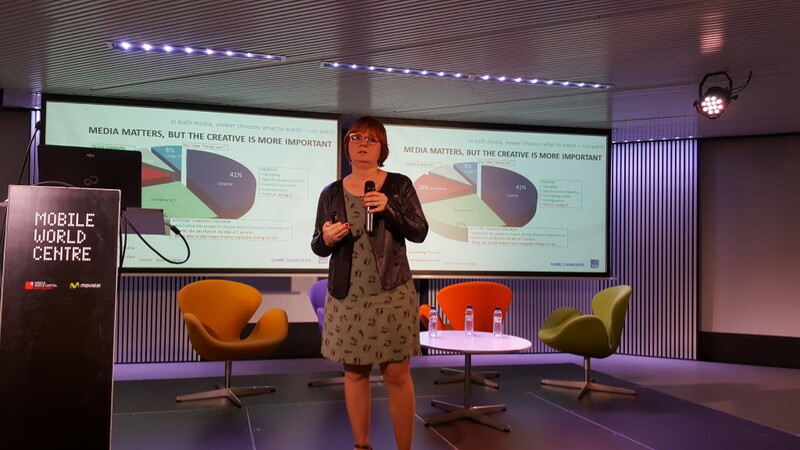 Our second speaker of the evening was Eva López, Client Service Director at Ipsos Connect Barcelona. She explained to us a study that they did to measure the performance of a marketing campaign shown only on television versus a campaign running on both television and digital. They created a controlled setup in which subjects were asked to watch television or use a youtube-like application while they recorded the subject’s behavior. The study was performed in 7 countries with 5200 subjects. The results of the study showed that running a campaign on both television and digital results in a higher brand and ad awareness as well as a higher purchase intent than when running it on television alone. Due to the nature of the study, many aspects of the effects of the campaign could be studied. For example, people are less likely to skip an ad on youtube with stronger brands and having an entertaining and engaging creative has a very big impact on effect of the advertisement. Overall, the study provides some concrete evidence and answers to questions many of us have asked in the marketing industry. 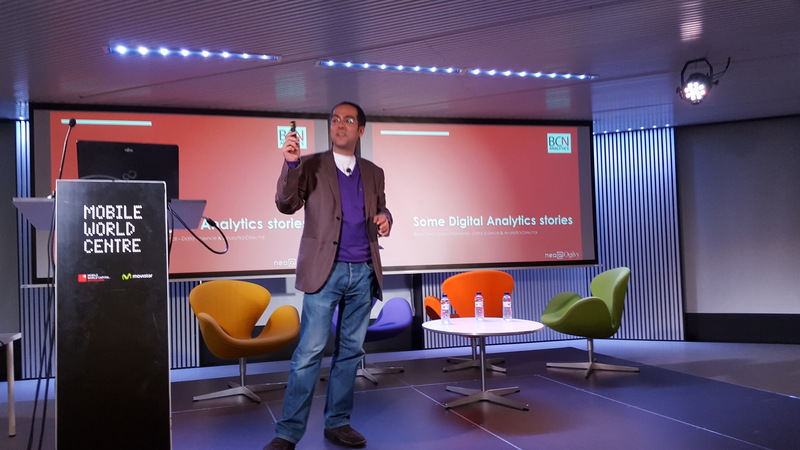 Our third and final speaker of the evening was René Dechamps, Data Science & Analytics Director at Neo@Ogilvy Spain. René shared with us some valuable lessons learned when doing business in the analytics industry. He explained the importance of talking to the right people in an organisation and the impact of when you do not. He shared an example in which the lack of standardisation and documentation turned a six month project into a three year project. Such lessons learned can be painful, but are extremely valuable in making analytics projects succeed. He took us step-by-step through a use case in which his company had to define KPIs based on business questions for a major media company in Finland. The example showed some of the finer details of how to implement analytics in an organisation and make KPIs actionable. After the presentations the audience got the opportunity to ask questions, allowing the speakers to address some further details of their approaches. The session closed with drinks and a chance for visitors to do some networking and discuss the topics presented. Hi, my name is Enrico. 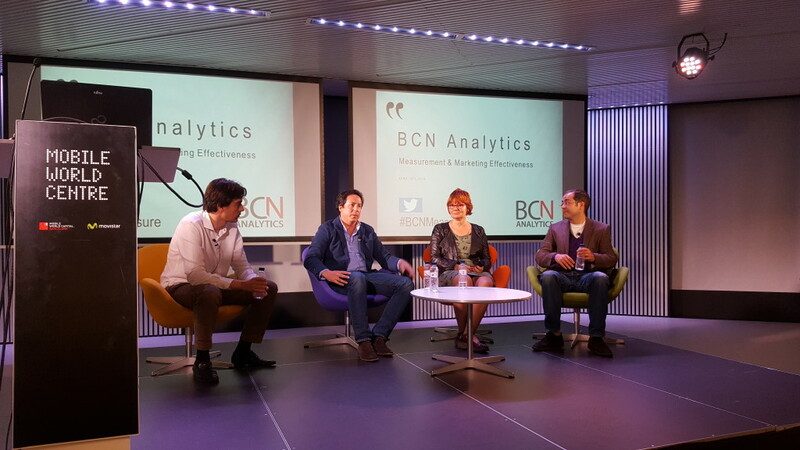 I was an intern at BCNANalytics and started in the beginning of 2015 together with Aleix Ruiz de Villa and Josep Marc Mingot to work on an idea which was supposed to help out mostly small businesses to promote their products and services online.